There's an easy way to tell if you have flat feet. Simply wet your feet, then stand on a flat, dry surface that will leave an imprint of your foot. A normal footprint has a wide band connecting the ball of the foot to the heel, with an indentation on the inner side of the foot. A foot with a high arch has a large indentation and a very narrow connecting band. Flat feet leave a nearly complete imprint, with almost no inward curve where the arch should be. Most people have "flexible flatfoot" as children; an arch is visible when the child rises up on the toes, but not when the child is standing. As you age, the tendons that attach to the bones of the foot grow stronger and tighten, forming the arch. 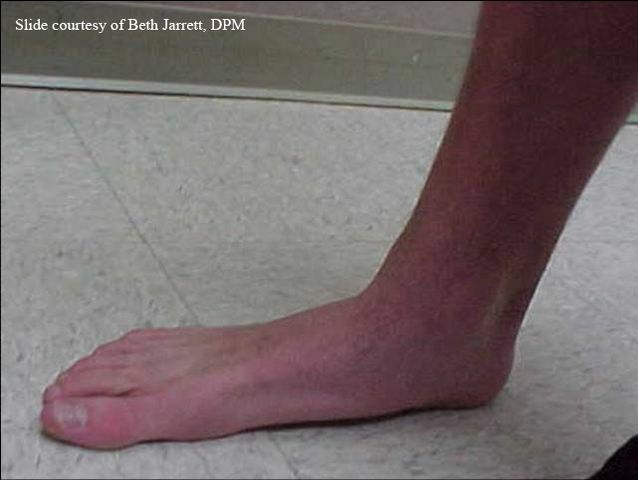 But if injury or illness damages the tendons, the arch can "fall," creating a flatfoot. In many adults, a low arch or a flatfoot is painless and causes no problems. However, a painful flatfoot can be a sign of a congenital abnormality or an injury to the muscles and tendons of the foot. Flat feet can even contribute to low back pain.